Movie mesa | Real in L.A.
Never thought I could put Gone with the Wind, nuclear waste, Spanish land grants, and the California red-legged frog together in a sentence without creating a string of non sequiturs. 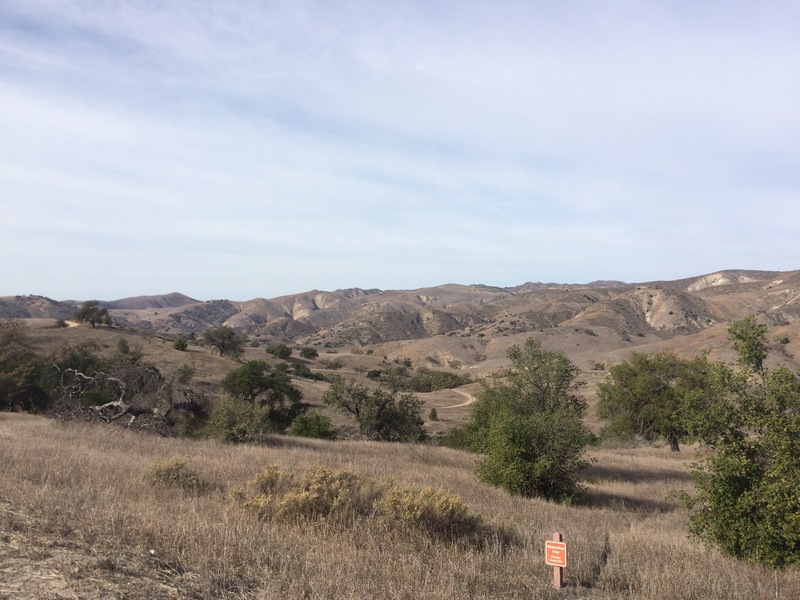 Then I joined a hike into the Upper Los Virgenes Canyon Open Space Preserve, a 3,000 acre section of the Santa Monica Mountains. Hollywood studios loved this area. The rolling hills, grasslands, stands of valley oaks, and sycamore-bottomed canyons have stood in for the Crimea (Charge of the Light Brigade), the Great Plains (too many Westerns to name), and, yes, the Georgia ridgeline where Scarlett O’Hara raised her fist to the sky and swore she’d never be poor again. 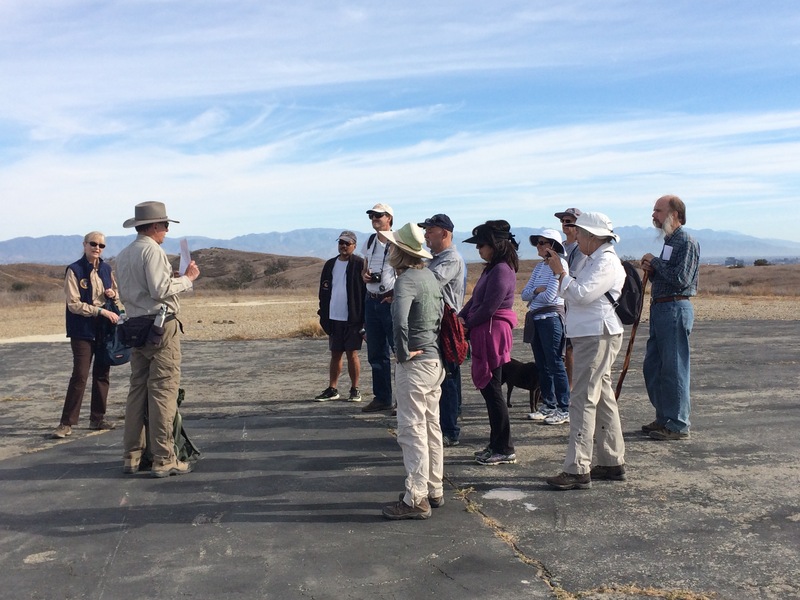 Mike Malone, a retired National Park Service ranger, led us up onto Lasky Mesa, named for Jesse Lasky, the early movie mogul who formed the partnership that became Paramount Studios. At film sites along the way. Mike augmented his informative briefings with enlarged movie stills and off-camera production candids. 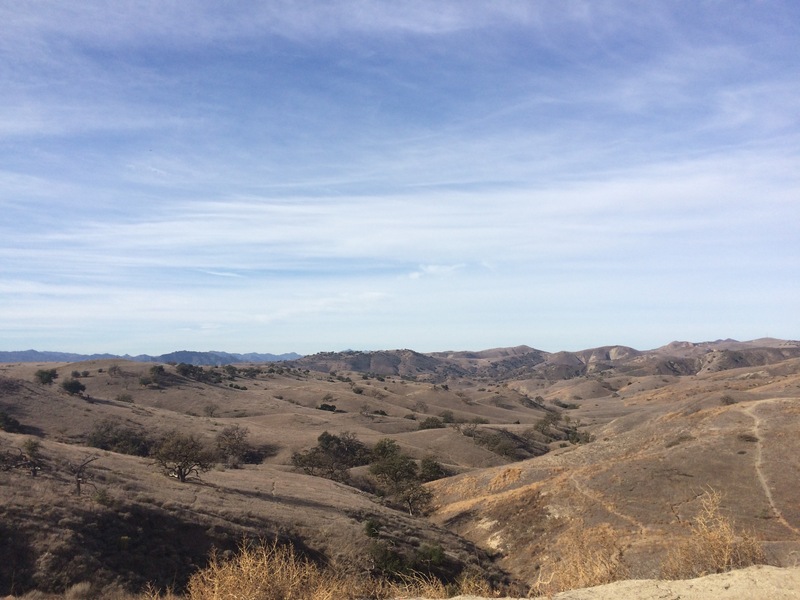 Upper Las Virgenes was one small part of a 1795 land grant of more than 110,000 acres, stolen from the Chumash and Tongva nations who were its first inhabitants. Beginning in the 1960s, a succession of companies attempted to develop the land, meeting decades-long resistance from local environmentalists and open-space advocates. 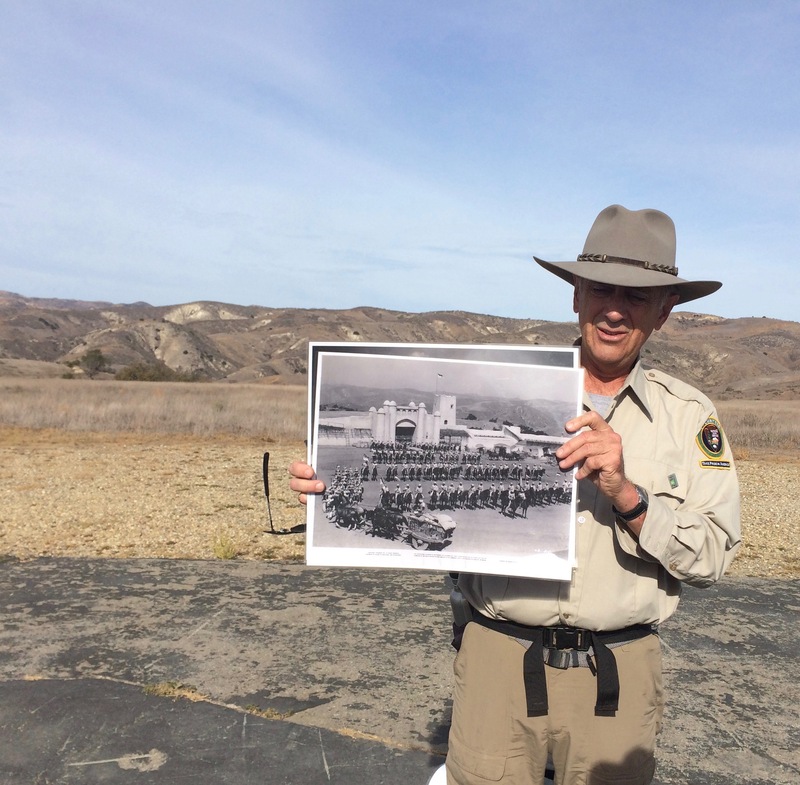 Ultimately, the land’s proximity to the former-but-still-toxic Santa Susanna Field Laboratory site was the developer’s undoing. The closest extraction well to the proposed 3,000 luxury homes reportedly held traces of the solvent trichloroethylene that were more than 480 times federal limits. It didn’t help that the area was home to that red-legged frog, the San Fernando Valley spineflower, and Southwestern willow flycatcher, all on state and/or federal threatened species lists. In 2003, the final private landowner sold the property to the Santa Mountains Conservancy for a below-appraised price of $150 million, mostly paid by funds from California conservation bonds. The preserve was dedicated the following year. You are currently reading Movie mesa at Real in L.A..